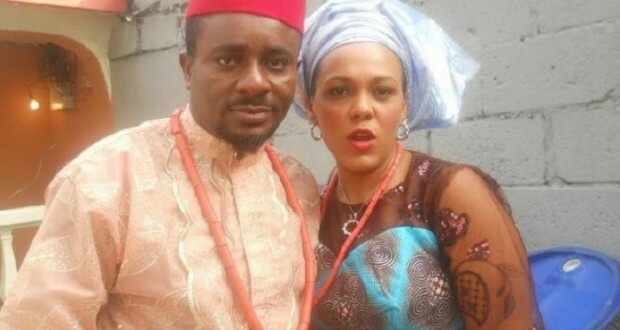 Wife of Nollywood Actor, Emeka Ike, has filed for divorce over an alleged domestic violence she faces in her marriage. The couple who got married in 2000 and are currently blessed with 4 children are heading to a split after Suzanne Rero Ike, decided to speak out concerning the violence. According to her testimony at a Lagos Court, Mrs Ike alleged she had been made a punching bag as her husband battered her during every misunderstanding. “I even persuaded his sister to bring four of her children to our school without paying a dime but instead of showing appreciation, she said I was a lavish spender and that was how I stopped being in charge of his school,” she told the court. She also alleged that she was verbally tortured by her husband. “Each time we fight, he calls me a witch saying whenever he intends to start a project and he informs me it eventually fails. He also said if he hadn’t married me, I would have become a prostitute,” Mrs Ike said. “Since I left, he doesn’t allow me to speak with our first two children, asking me to come home if I really want to see them. Even when I was in with him, he leaves home for months on the pretext of different appointments. I can’t face all this anymore. I need help,” she further said. The case has been adjourned by the court to July 22.